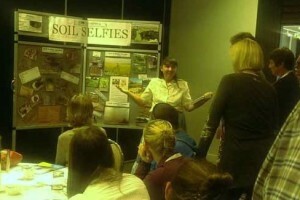 Snooping into Soils, including Soil Selfies, was a workshop at the Primary Industries Education Foundation Australia Conference, held in May in Canberra, on the theme “Food and Fibre Matters”. 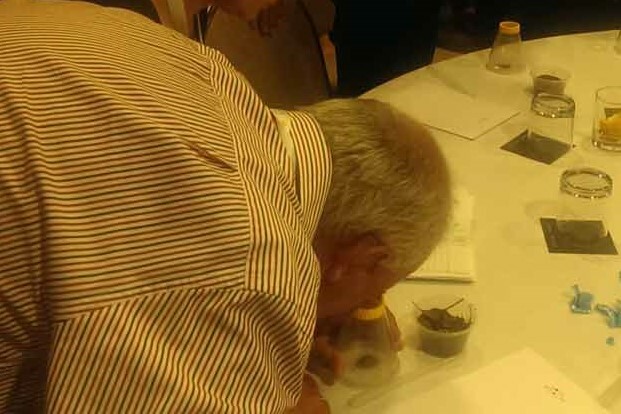 Snooping into Soils” shared soil activities and resources developed in 2015. The big themes at this conference were increasing the input of Ag Sc in school education, especially as an applied Science/ STEM area of learning and raising awareness of the scope for careers in Ag Sc, which will be part of future food security. In other words, soils are an integral, but possibly silent, part of Food and Fibre. Ag Sc education should include Soils. and 2 inspiration to educators to include some soils learning – at all levels of F-Y6 Curriculum – based in AC Science, especially, but as interdisciplinary learning, in aspects of Literacy, Numeracy, Geography, Photographic Art, Communication, and IT. 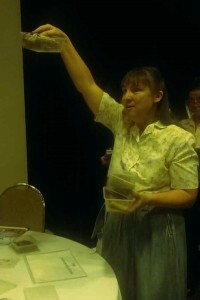 and links to the PIEFA Conference webpages for the program and the ppts from the conference. Photos (courtesy of, and with permission to use from, L. Larri ) show the Soil Selfies introduction, Odd One Out challenge and simple magnification to show colour varies with grains. (cc) 2016 Jeanie Clark, enviroed4all(R) and L. Larri (photos), Please acknowledge any use of these ideas. As a freelance environmental educator, my work in creating these activities and this website is UNFUNDED. Please support me by acknowledging my ideas, sending feedback for how the activities in this website go when you use them, and, if you can, support me with a DONATION, please contact me by email. Thank you.